The Linksys EA2700 default password is admin. Like most passwords, the EA2700 default password is case sensitive, which means you should keep all the letters in lowercase. In addition to requiring a password, the EA2700 router also uses the default username admin. The EA2700 default IP address used to access the router is 192.168.1.1. This is a common default IP address used for Linksys routers. This device's model number is EA2700 but it is often marketed as the Linksys N600 router. Which Hardware Version Do I Have? Some routers have different default passwords for certain hardware or firmware versions (some routers have two or more versions of the same router). However, there is only one version of the EA2700, and therefore only one set of valid credentials. You can find the hardware version near the bottom or side of the model number, labeled with a "v" to indicate "version." If you don't see a version number on your router, it means it's Version 1. Help! The EA2700 Default Password Doesn't Work! While a default password is useful when you first login to a router, it can and should be changed as soon as possible. The only problem with that is that changing a password to something only you know means, unfortunately, that it's also something only you can remember, and thus forget. If you've forgotten your EA2700 router password, you can follow the steps below to reset the Linksys router's settings to factory defaults, which will restore the default username and password mentioned above. Be sure the Linksys EA2700 is powered on, and then turn it upside down so you have access to the bottom of the router. With something small and pointy, like a paperclip or mini screwdriver, press and hold down the Reset button for 15 seconds. The Ethernet port lights on the back of the router will flash simultaneously to show that the router is resetting. Wait 15-30 seconds for the EA2700 to fully power back on. Remove the power cable from the back of the router, for just 5 seconds or so, and then plug it back in. After another 30 seconds, or once the power indicator light on the back of the router switches from a slow flash to a steady light, the router is ready to be used. You can now login to the EA2700 and reconfigure the lost settings (wireless network password, etc.) with the admin username and password at http://192.168.1.1. Be sure to change the router password to something more secure than admin. Also consider storing the new password somewhere safe, like in a free password manager, to avoid forgetting it again. Adding back in all the customizations you made to your router after resetting them can be a tedious process. We recommend backing up the EA2700 configuration to a file that you can then restore to the router if you ever have to reset it again in the future. According to Page 55 in the manual linked to below, this is done on the Linksys EA2700 through the Router Settings > Troubleshooting > Diagnostics page. Just like with the default username and password, the EA2700 may have had its default IP address changed to something else, which is likely the reason you can't access it. Instead of resetting the router to get the EA2700 default IP address, you can just find the default gateway of a computer connected to the router. This will tell you the IP address that the computer is setup to send requests to (the default gateway IP address) which is the address you need to access the EA2700. 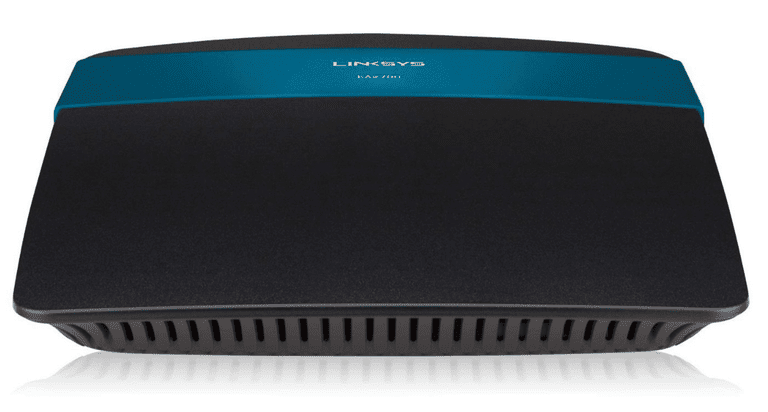 Installation guides, some FAQs, manuals, download links, and everything else related to this router can be found on the Linksys EA2700 N600 Support page. You can grab the user manual for the EA2700 router right here. This is a direct link to the PDF file. The Linksys EA2700 Downloads page is where you'll find the most recent firmware and Linksys Connect software downloads. As you can see on that page, there is only one hardware version of the EA2700 router, so there's only one firmware download option. Even though this doesn't apply to the EA2700, you should know that if there are multiple hardware versions of a router, it's important to download the firmware that's for that hardware version specifically.